You step outside and start to notice the sun peeking through, the sweet smell of trees blossoming is just barely in the air, and a warm breeze replaces the chill. Spring is brewing. 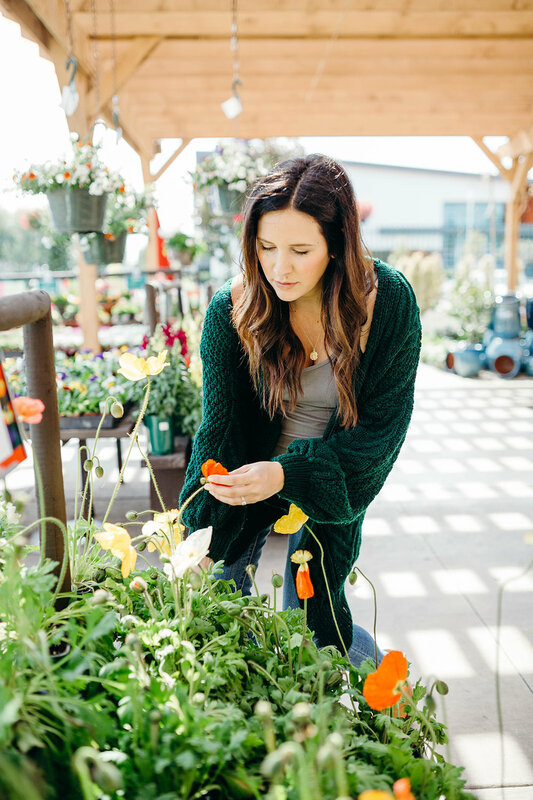 With that comes a fresh season to get your hands dirty in the garden and plant some vegetables in time for a Summer harvest. Life is sweet in the Spring! 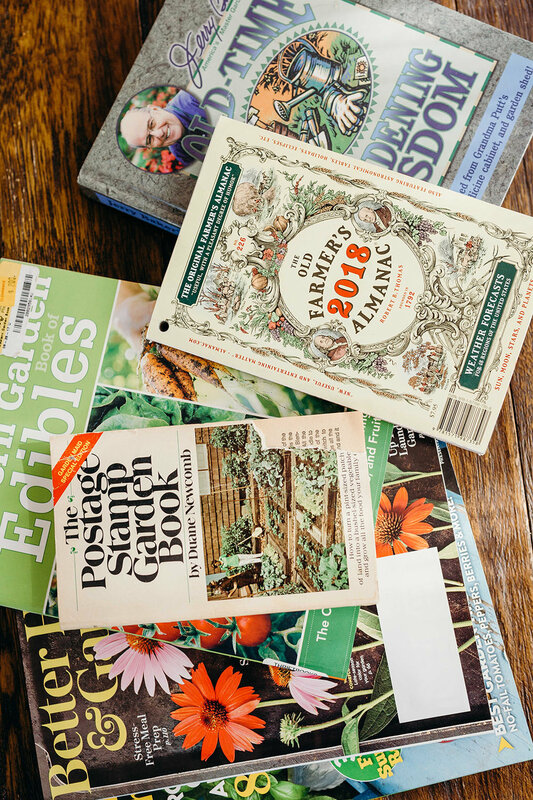 Now is the perfect time to start planning your garden, and there are a few tips that will help you get organized and get growing. I start my entire season with a list of all the plants I want to try and grow, and usually only end up planting about ¾ of them. It’s all about what excites you! For a good planning sesh, I like to set the mood. I usually put some vibey music on (Spotify’s Acoustic Spring playlist is a favorite), grab a coffee, and light a yummy candle. In my garden journal I write out my plant wishlist, and also refer to what I did last year. It’s important to note where you placed veggies in your last season, so that you can rotate the plants and keep the soil healthy. I also make note of the weather conditions, the date I planted, the moon phase it was (I know, I’m crazy like that, but it’s an old farmer’s trick! ), and some other items I made sure to do like fertilize and test the soil pH levels. I like to use a few books and magazines to help me get inspiration and get up to speed on growing techniques and best practices. I love all the Sunset Magazine Books, some Magnolia Journals, and Jerry Baker’s Old Time Gardening Wisdom. I also do a little online research via Pinterest, Better Homes & Gardens, and the Farmer’s Almanac website. Of course, if you just want to go to the garden store and wing it, do that! 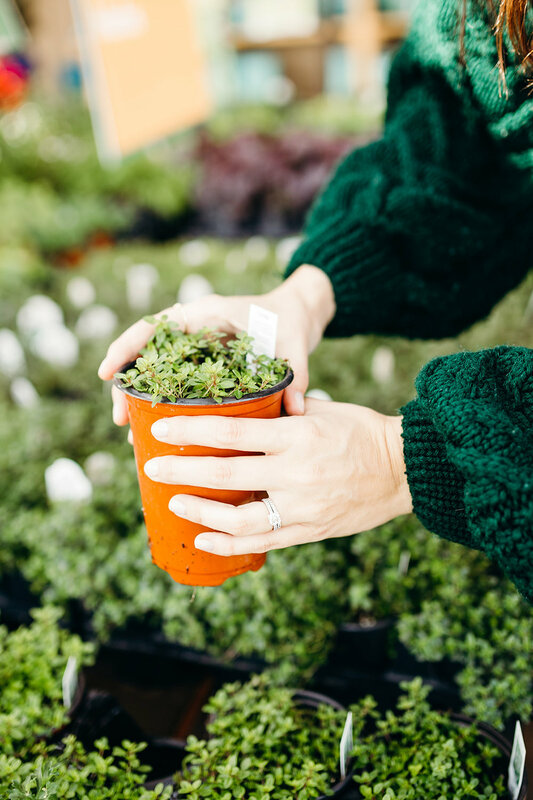 My only tip is to be sure you’ve read up on how much sun and water your plants need - that’s the most important should you skip any prep or deep research. I like to plant a good mix of veggies we love to eat. For this season, it’s all about cucumbers, tomatoes, strawberries, and basil. It’s fun to try out some random things and just see what happens! This year we’re trying out peas and eggplant. Our family does a way better job at eating veggies when we grow them, so it’s fun to include little ones in these choices too. This is all about flowers. 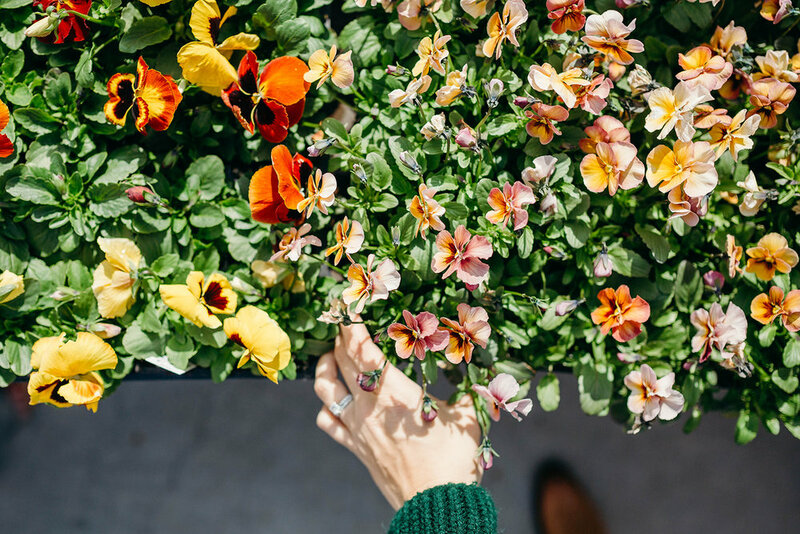 Flowers are necessary to help pollinate your vegetables, but also bring bees and butterflies into the garden, which is so good for the environment. Plus, you can cut fresh flowers for your dinner table or to gift to friends. Now that you have a plan and some plants to get, I like to add some final touches to my garden planning. This season I’m adding bee watering stations because bees need water and often have a hard time finding shallow pools. They’re basically just little rocks that can catch water and hold it. Nothing fancy. I’m also going to try out some strawberry rocks! This is a great activity for kids. You paint some rocks like strawberries, and put them in your garden as you plant your strawberry seedlings. The point is to trick birds into thinking it’s a ripe strawberry, so they come and peck at it, but then get frustrated and leave your real strawberries alone once they develop fruit! Finally, it’s time to pick a date on the calendar for planting! I always do better with a deadline, so I love picking my Spring planting date. To figure out the best time to plant, you can Google your “USDA hardiness zone”, or just estimate the date of the last frost, and plant after that. There you have it, a Spring planting plan! Gardening is all about having fun and also enjoying nature, so don’t get too worried about perfect soil or fancy fertilizer. Follow your instincts and make tweaks along the way.